Although it's technically the spring season, I've been hopin', wishin' and prayin' that the weather will finally get the memo. CATCH UP, WOULD YA?! I still remember the Easter days of floral dresses and sunbonnets with white tights and Mary Jane shoes. That was back when you could count on the weather to be Easter-worthy. The last few years have been cold or rainy; far from the holidays I remember! The main item I pieced this outfit around was the scarf. It's from the A New Day line at Target and I actually found it during a recent trip to Goodwill for $2.99! 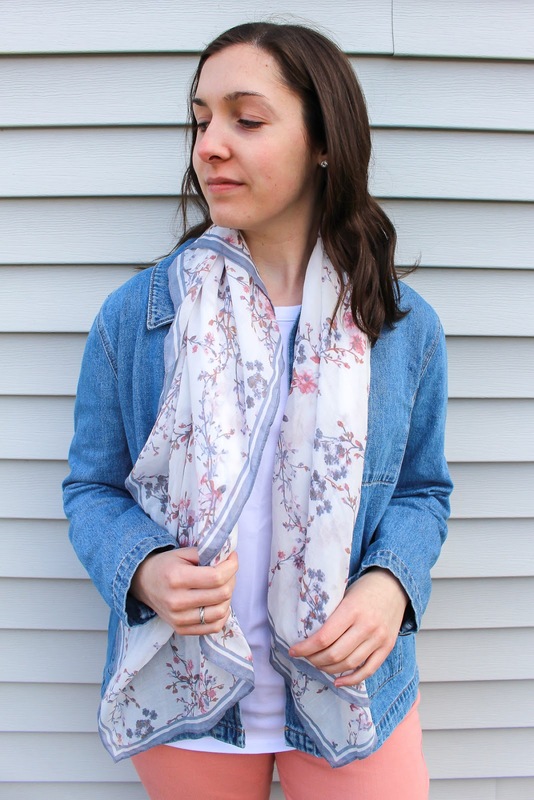 It's a square scarf, so instead of tying it up, I let it hang around my neck for a softer, more flowy appearance. 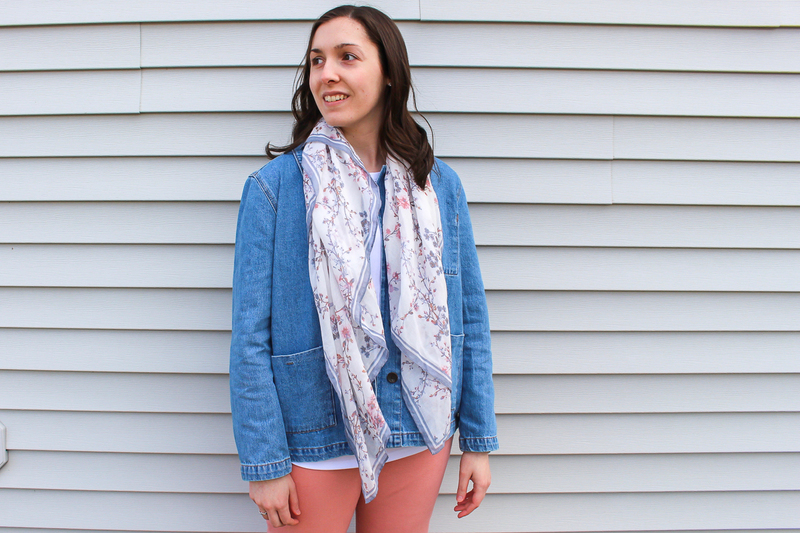 I knew I had pants that would match the colors in this scarf to a T! 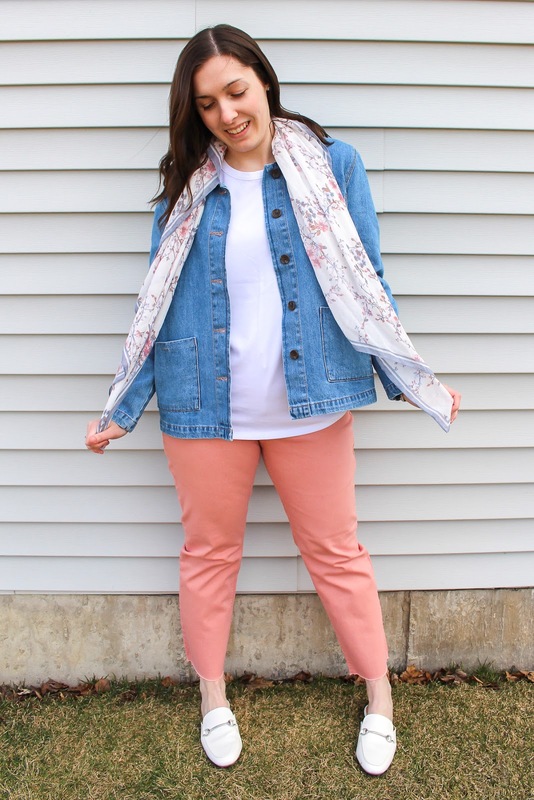 The new Power Jean from Old Navy (aka my favorite jean ever at the moment!) is a straight cut with great stretch and soft denim material that hits right at the ankle. 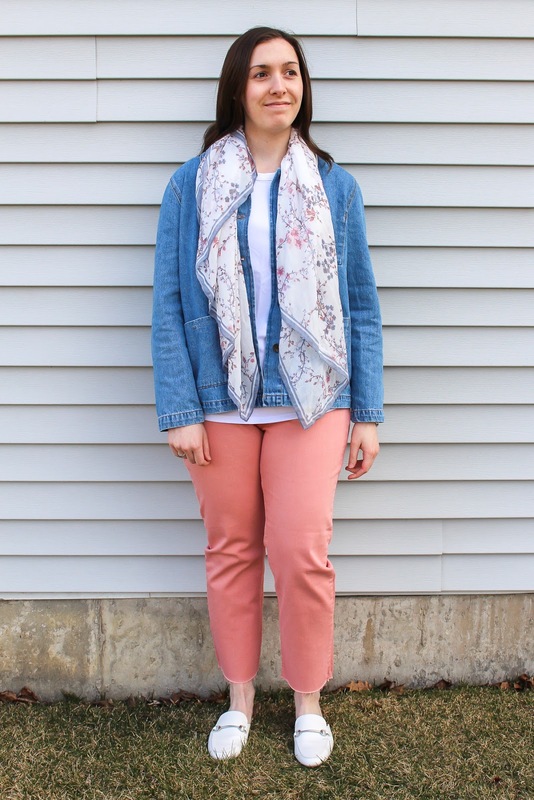 This jean comes in multiple denim washes, as well as olive green, white and this rosy pink shade I'm wearing here. 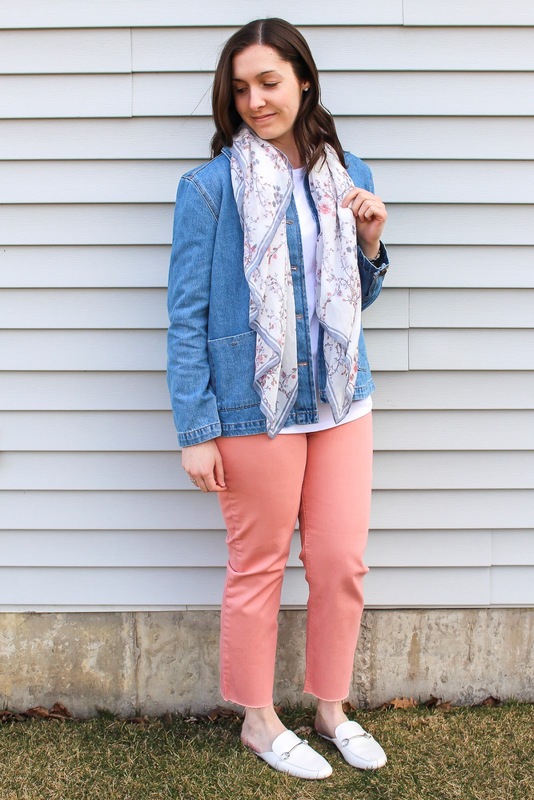 I love how flattering these bottoms are and the color is a must-have for spring. 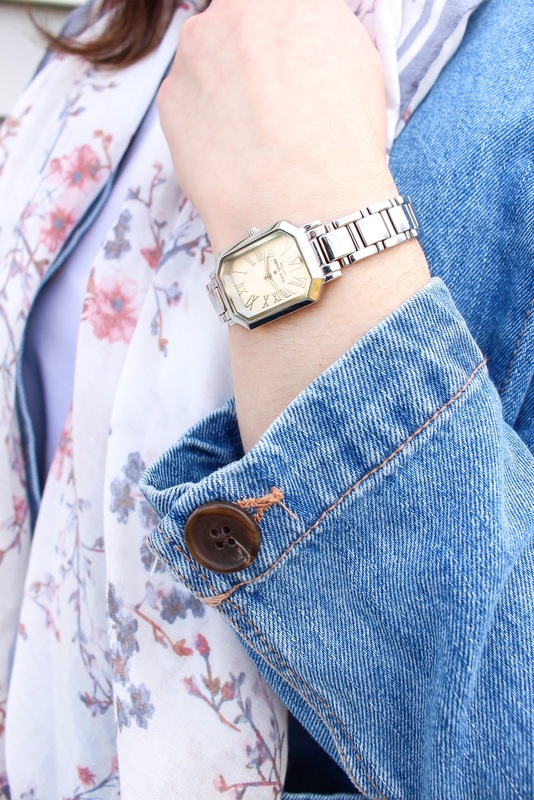 I threw on a basic white tank top and over it I'm wearing this denim chore jacket from Old Navy. 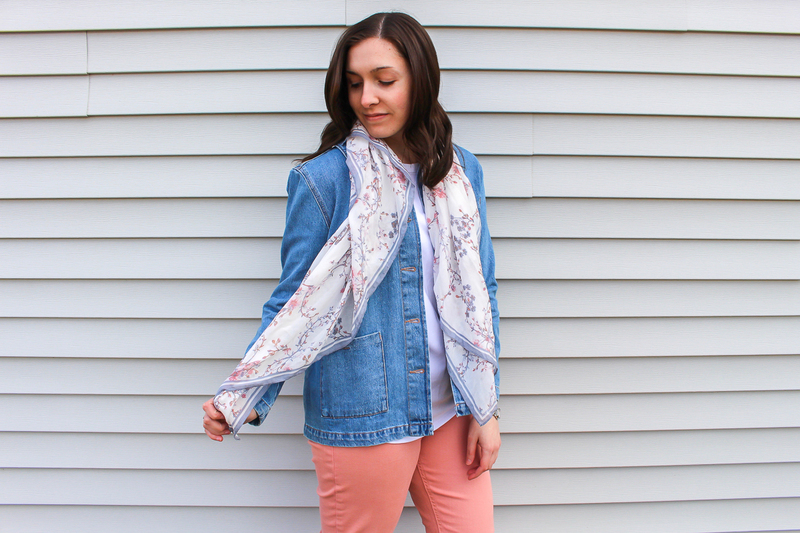 The light wash of the denim matches the blues in the scarf, which really makes this accessory POP! 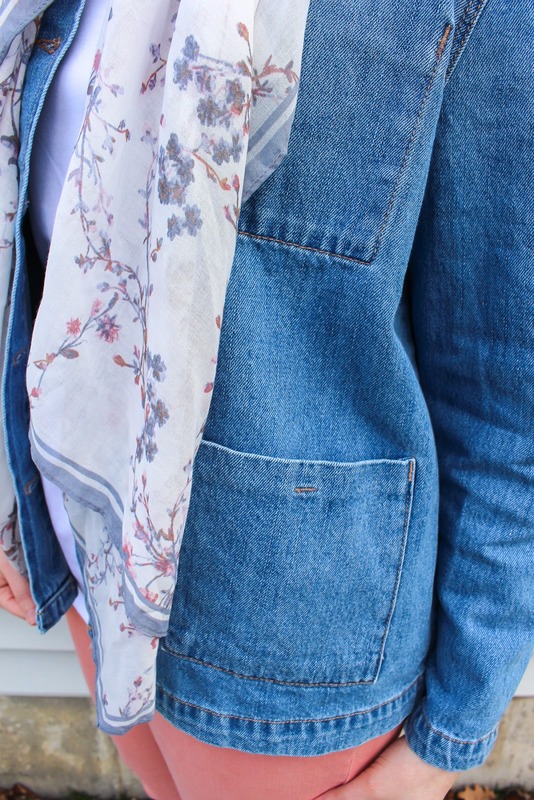 This jacket is very simple with a boxy cut that makes it easy to wear with almost anything- I 10/10 recommend adding it to your closet! For shoes, I just picked up the coveted Kona mule from Target in white and paired them with this look. 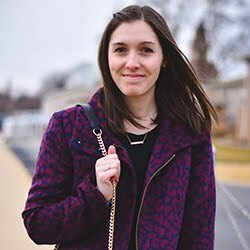 (You probably spotted them on my Target Spring Shoe Wish List!) 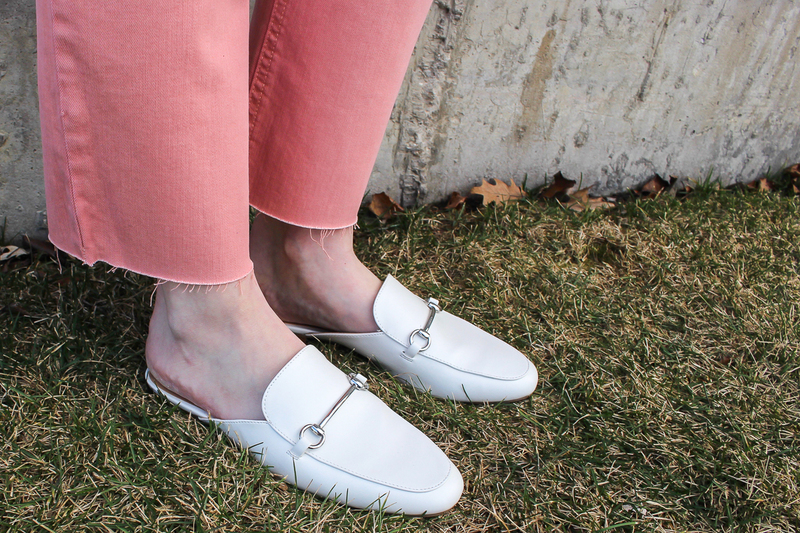 Although this look is on the casual side, I'd say these loafers give the outfit a dressy appeal. They're also really comfortable which is an added bonus! 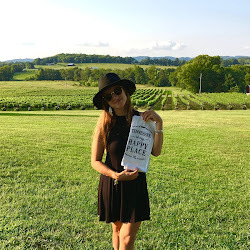 To polish this look off, I slipped on my favorite Kate Spade watch that I wear again and again. 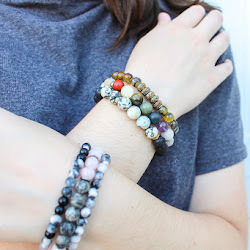 I love this look because even though it is more casual than a sundress and heels, the pieces together create a very polished outfit. 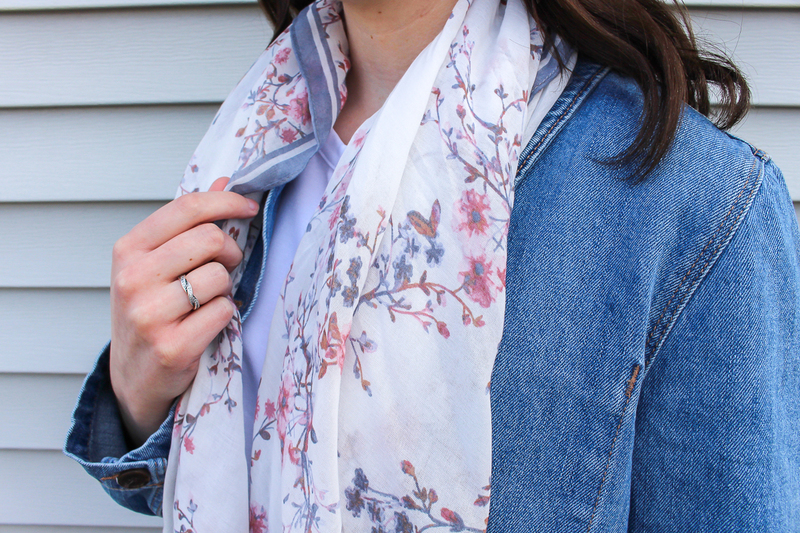 The colors obviously SCREAM springtime because of the simple, light shades and touch of floral from the scarf. 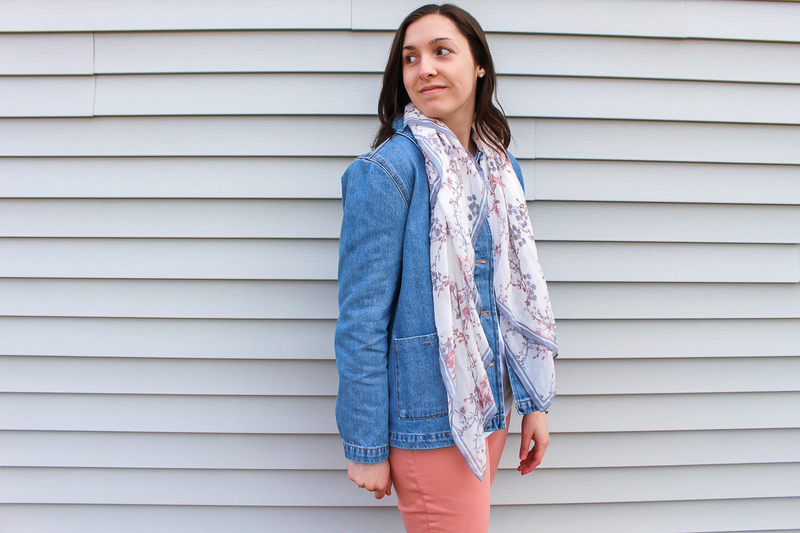 Although this will make an awesome #ootd for Easter, I can definitely see myself continuing to wear this ensemble throughout the spring season.